I have learned to laugh at life a lot more as my children have gotten older. You think you have the perfect arrangement…Monday dance, Tuesday basketball, Wednesday basketball, Thursday basketball and Friday dance! When all the sudden you hear that, “Not so fast George Banks!” Just then the basketball coach moves Tuesday basketball practice to Monday at the same time as dance! WHAT??? What happened to the easy days of preschool then home? With the husband that should travel 50% of the time, that really travels 95% of the time, there is a new challenge and problem to solve. I dearly love my husband, but I bring up the situation to him and the response. “What do you want me to do about it?” So, he’s no help…next idea! Start making calls and texting friends/parents. The I’ll-get-your-kid-there-if-you’ll-get-my-kid-home plan comes into implementation! After two texts, I had our schedule problem solved and we were all helping each other in the end due to their scheduling conflicts. We have lived in our area now almost 17 years, and I really never started to appreciate how a community works together until a couple of years ago when my children got old enough to both be going in different directions at the same time. 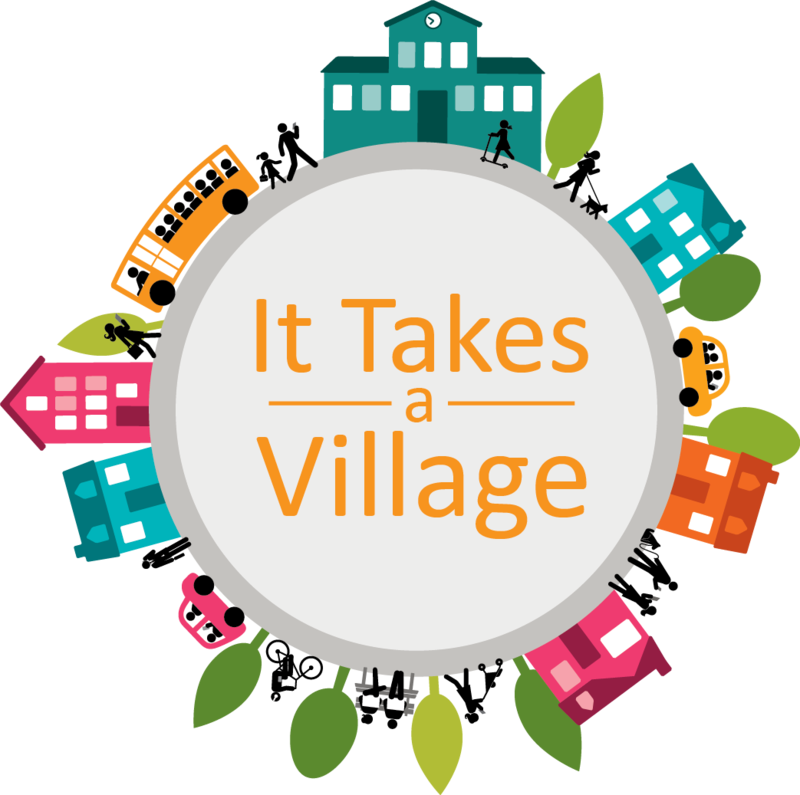 I mean, we have loved where we lived for a long time, but you really start to understand the saying, “It takes a Village.” I have received many calls from friends at the very last minute asking if I can grab their kid or help them out, and vice versa. And we just make it happen! Just last week my son sends me a text to tell me he forgot to stay for his club after school and got on the bus. I was at work. A friend calls and says, I’ll meet him at the bus stop and take him back to school. Wow! I couldn’t believe she did that! Every day I am amazed at how a community really can come together. And it is a wonderful feeling. My husband was recently offered a transfer, but it still meant 50% travel (really 95%). We took the trip to visit the area, but in the end I told him to turn it down if the travel was not changing…I had my village that makes things happen when he is gone. In the end, it has been a humbling experience; I have had to ask for help…something I used to not do easily. It has also made me realize how many of us are all in the same boat, trying to juggle so many things daily. We have an awesome village and I wouldn’t change that for the world! Posted 2 months ago by legosandfairies. Whoa! Whoa! Whoa! Where is the Charmin?